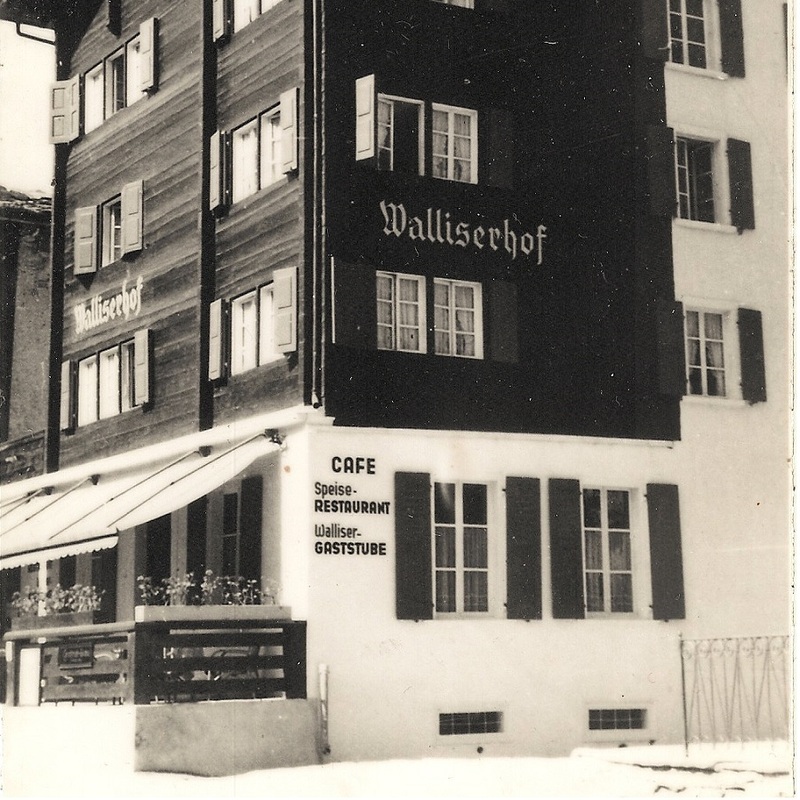 · In 1896 the Welschen brothers built a typical Valais house on the Bahnhofstrasse in Zermatt. The house was first rented by Hermann Perren and his wife under the name of “Touristenhotel Perren” until 1938. 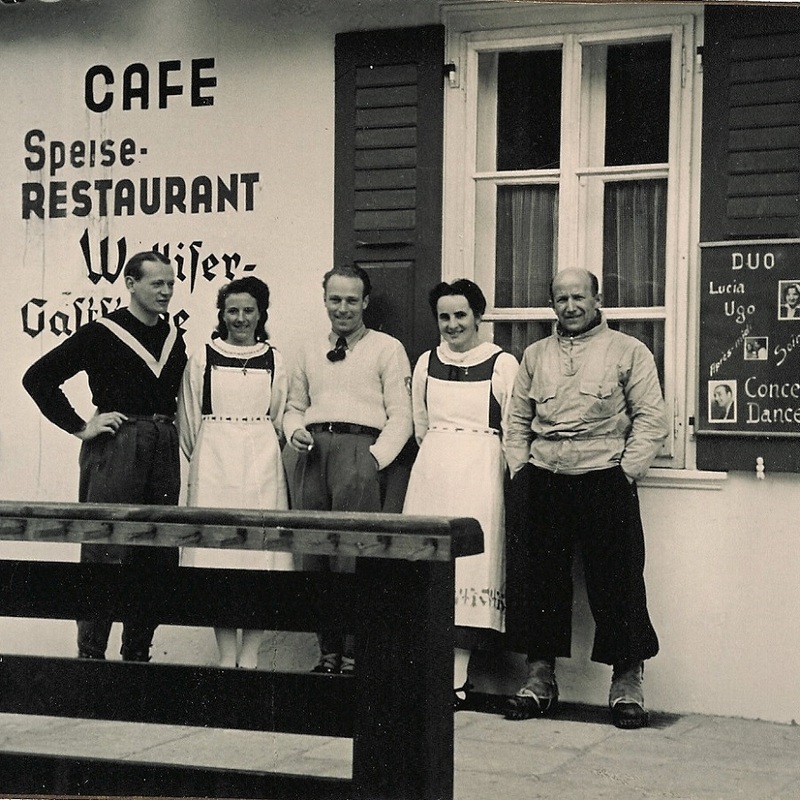 · In spring 1938 at the age of 30, it was the turn of Theo Welschen and his wife Klara to take over this traditional hotel. 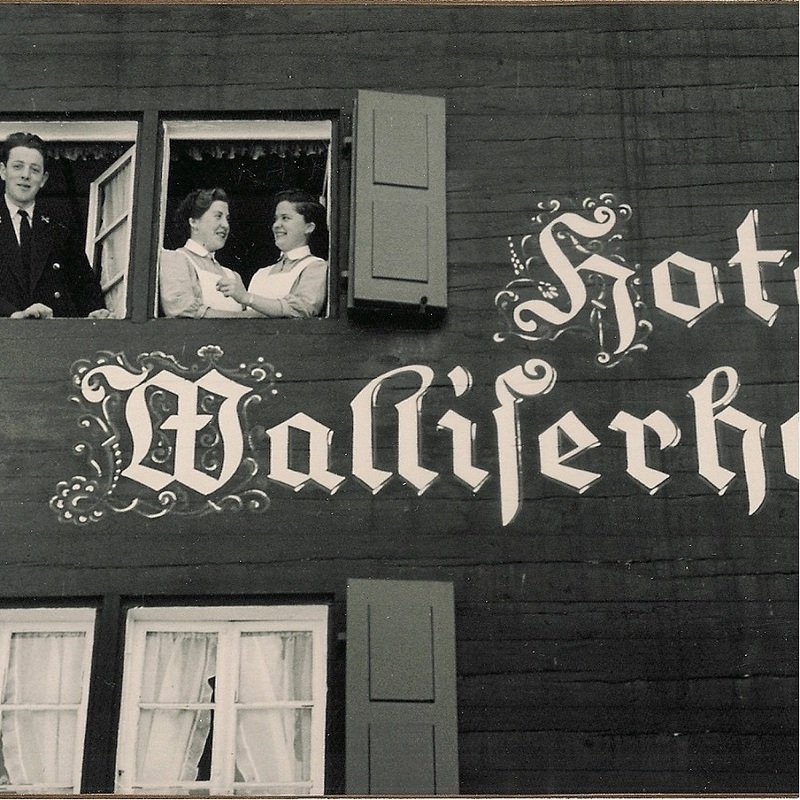 They changed the name to “Hotel Walliserhof”. At that time the hotel had 20 beds, a dining room and a dance floor. · Shortly after Mr. Welschen acquired the hotel came some hard times. The Second World War and a fire in 1942 significantly affected the Welschen family. After the war, they returned with great enthusiasm and strength and decided to expand the hotel and to build three additional floors. At this period the hotel had approximately 30 rooms. · A new extension took place in early 1955 and was completed for Christmas in 1956. From that moment the house could offer 60 beds to their guests, each room having a private bathroom. 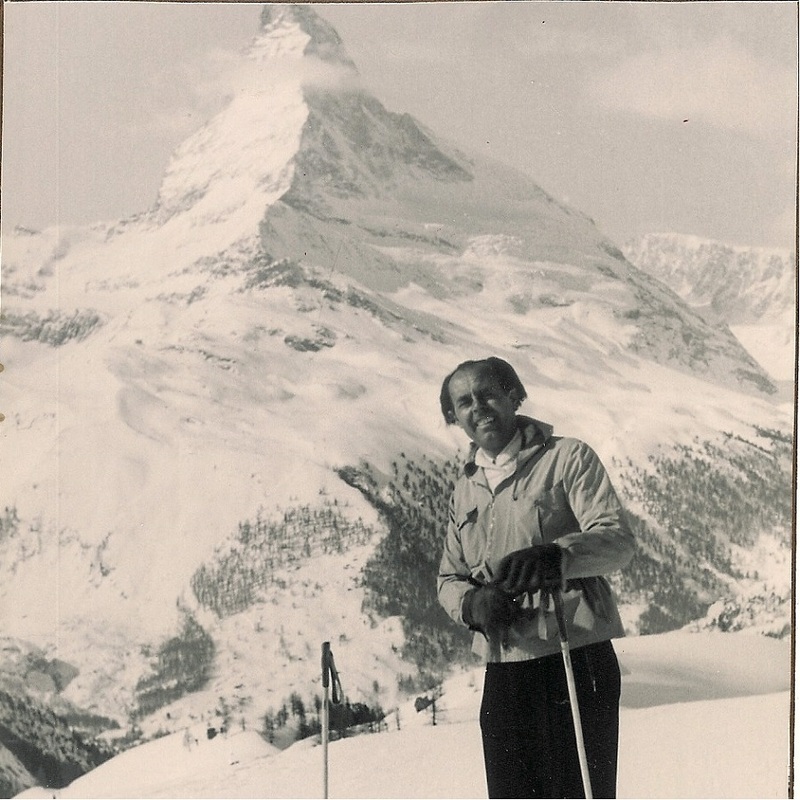 · In 1996 the second generation of the Welschen family took over the hotel. · Between 1996 and 2006 all rooms and suites were renovated, as well the reception area, dining room and restaurant. In this course, the mini-spa was also created. · Since 2015 the Hotel Walliserhof is located in the third generation of the Welschen family. · In 2016, the hotel was completely renovated and restructured. During the reconstruction work, much attention was paid to the existing materials and to the rustic style. Thus the hotel and the new restaurant “Theodors Stuba” appears in typical Valais charm and the century old character of the house has been preserved. · In the year 2016, the fourth generation of the Welschen family was already born with the smallest family member Freja. Two years later, in 2018, little brother Loke was born. We warmly welcome you to our small family-run hotel and wish our guests a great and unforgettable stay in the Swiss Alps.